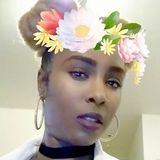 Want to connect with Tawana? My name is Tawana Orr a.k.a Tior Elite I am a very excellent cleaner with about 5 years of cleaning experience. I worked for multiple cleaning companies, ABM industries and Handy cleaners just to name a few. Hiring me will produce excellent reviews for your business.